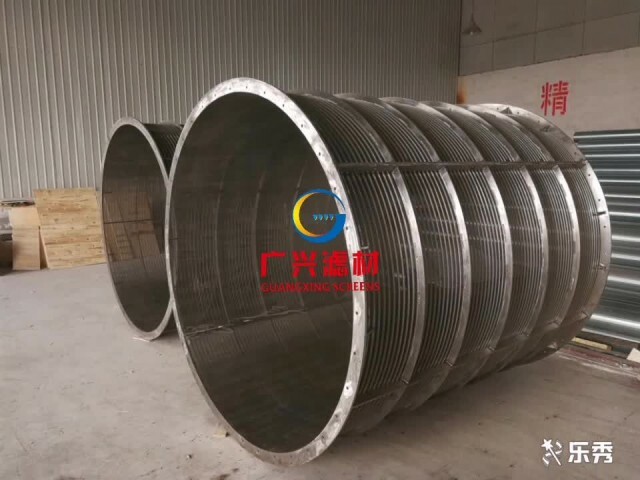 hengshui guangxing Scum Drum Screen is another multi-purpose filter assembly that slotted cylindrical wedge wire drum rotates on two pillow block bearings. The rotary drum is driven by a motor fitted to a shaft-mounted gearbox. This type of screen is fed externally and drained via the outer screen surface. 1. The doctor blade scrapes the solids from the face of the screen surface. 2. The screened water cascades down inside the drum and falls through the bottom, creating a vigorous backwash action. 3. Automatic and cyclic internal water sprays of screen drum. Scum Drum Screen is capable of solid filtration with various slot openings range from 50microns (0.05mm) to 20mm.